Welcome to Santa Cruz premier Cadillac service and repair specialists. Goodyear Tires & Auto Repair provides Santa Cruz Cadillac owners with an unparalleled level of service. 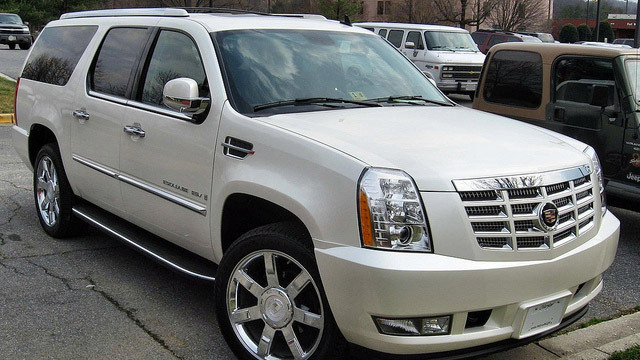 We provide Cadillac maintenance, manufacturer recommended services, diagnostics, and repairs. Whether you drive an ATS Coupe or Cadillac Escalade, you can bring it to us knowing that our ASE nationally certified mechanics will service your vehicle as if it were our own. Your Cadillac requires regular service and maintenance – we highly recommend following manufacturer suggested maintenance schedule, with particular attention to regular oil service. Regular oil service not only extends engine life but also allows us to perform complimentary inspection which gives us a chance to spot impending problems before they result in breakdowns. Servicing your Cadillac with Goodyear Tire & Auto Repair keeps the Cadillac factory warranty in force. We strive to make your Cadillac service and maintenance worry free. Our full-service Santa Cruz auto repair shop provides not only manufacturer recommended services, but also full range of diagnostics and repairs - tire replacement, brake pad replacement, A/C system recharge, water pump replacement, timing belt replacement,CV drive axles, noise diagnostics and repair, check engine light diagnostics, power steering repair, engine repair, transmission problems, shocks, struts, brake hydraulics, evap leak, coolant leak repair, to name just a few. So bring your Cadillac to Goodyear Tire & Auto Repair and our friendly staff will be happy to assist you. For your convenience, you can schedule an appointment online, or simply give us a call.